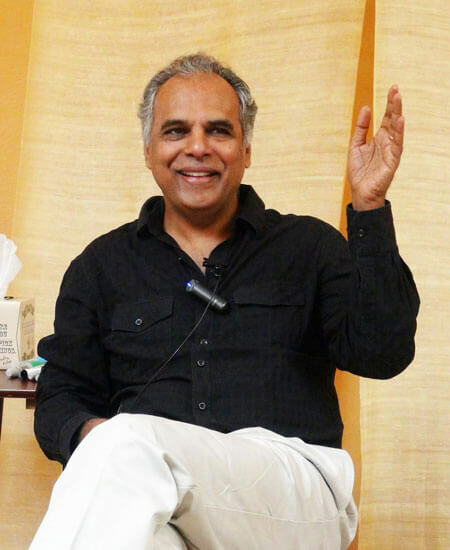 Raja Selvam, PhD, is the developer of Integral Somatic Psychology™ (ISP™), an advanced approach for integrating body, energy, and consciousness into psychological processes in all therapeutic modalities. ISP is a master training for experienced clinicians. ISP seeks to improve clinical outcomes through greater embodiment of all experiences and all levels of the psyche in the physical body of the individual. Raja Selvam is a Registered Clinical Psychologist, California PSY30233. Raja’s article on treating trauma symptoms among Indian tsunami survivors, Somatic Therapy Treatment Effects With Tsunami Survivors, was published in Traumatology in September 2008. Jung and Consciousness, based on his clinical psychology doctoral dissertation on Advaita Vedanta and Jungian Psychology, was published in the analytical psychology journal Spring in 2013. For an interview with Raja Selvam on the theory and practice of Integral Somatic Psychology in Somatic Perspectives, please visit our blog, or listen to the podcast here. Raja teaches Integral Somatic Psychology and Somatic Experiencing in the United States, United Kingdom, Germany, Austria, Switzerland, Denmark, the Netherlands, Belgium, France, Italy, Turkey, Israel, Russia, India, Sri Lanka, Hong Kong, mainland China, South Africa, and Brazil. Selvam, R. (2004). Trauma, Body, Energy, and Spirituality. Positive Health, May, pp. 15-18. Selvam, R. (2005). Treating tsunami survivors for trauma: The effectiveness of a short-term psycho-physiological trauma treatment approach among South Asian tsunami survivors. Journal of Holistic Healthcare, Vol. 2, Issue 4, November. Parker, C., Doctor, R. M., and Selvam, R. (2008). Somatic Therapy Treatment Effects with Tsunami Survivors. Traumatology, Vol. 14, No. 3, September. Selvam, R. (2008). Advaita Vedanta and Jungian Psychology: Explorations Towards Further Reconciliation in East-West Dialogues on the Psyche (Pacifica Graduate Institute, Carpinteria, California). Unpublished doctoral dissertation. Selvam, R. (2013). Jung and Consciousness. Spring, Vol. 90, Fall 2013, pp. 155-177. Trainer, Integral Somatic Psychology (ISP) Training Programs. From 2010. Senior Trainer, Somatic Experiencing Professional Trauma Training Programs, The Foundation for Human Enrichment/Somatic Experiencing Trauma Institute, Boulder, Colorado, From 1997. Adjunct Faculty, Santa Barbara Graduate Institute, Santa Barbara, CA. 2000-2010. Faculty Co-ordinator, Somatic Experiencing Professional Training Programs, The Foundation for Human Enrichment, Lyons, Colorado, 1999-2000. Faculty, Bodynamic Analysis Character Structure Professional Workshops, Los Angeles, California, 1999-2001. Faculty, Institute for Psycho Structural Balancing (IPSB), Los Angeles, California, 1998-2000. Faculty, Bodynamic Analysis Psychology of Muscles Professional Classes, Los Angeles, California, 1996-1999. Assistant Professor, Marketing, The University of Southern California, Los Angeles, California, 1989-1993. Adjunct Faculty, Marketing, Northwestern University, Evanston, Illinois, 1987-89. Adjunct Faculty, Marketing, The University of Iowa, Iowa City, Iowa, 1983-85. Deputy Manager, Marketing, Management Services, Southern Petrochemical Corporation Limited, Madras, India, 1982-83. Assistant Manager, Marketing, Management Services, Southern Petrochemical Corporation Limited, Madras, India, 1981-82. Assistant Regional Manager, Marketing, Tirunelveli Region, Southern Petrochemical Corporation Limited, Madras, India, 1980-81. PhD in Clinical Psychology from Pacifica Graduate Institute, Carpinteria, California, 2008. PhD in Marketing. Northwestern University, Evanston, Illinois, 1995. MS in Applied Statistics. The University of Iowa, Iowa City, 1985. MBA, Xavier Institute, Jamshedpur, India, 1980. BA in Economics. Loyola College, The University of Madras, Madras, India, 1978. Study of the Kleinian psychoanalytic model. Weekly study/supervision group with Jane Van Buren, PhD, Psychoanalyst, Los Angeles, 2002-2003. Study of the Inter-Subjective psychoanalytic model. Weekly study/supervision group with Robert Stolorow, PhD, Psychoanalyst, Los Angeles, 2000-2002. Study of affective neuroscience and early childhood development. Bimonthly study group with Allan Schore, PhD, Northridge, CA, 2001-2002. Biodynamic Cranio-Sacral Therapy Training Program, Santa Barbara, CA, 2002-2004. Somatic Experiencing Practitioner Training, Boulder, CO, 1994-1998. Bodynamic Somatic Developmental Psychology Practitioner Training, Pescadero, CA, 1994-1996. Bodynamic Somatic Developmental Psychology Foundation Training, Los Angeles, CA, 1993-1994. BodyMind Integration Training, BodyMind Institute, Los Angeles, CA, 1993. Reichian and Neo-Reichian Character Structure Course, BodyMind Institute, Los Angeles, CA, 1993. USABP, United States Association for Body Psychotherapy. APPPAH, Association for Prenatal and Perinatal Psychology and Health.